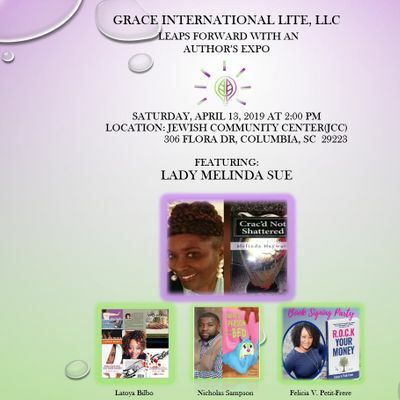 This free ticketed faith celebration will introduce Grace International LITE,LLC to the world. (L.I.T.E. Living Inspired To Excel) We will also give other Author's an opportunity to share some LITE to the world with there books. Authors will sell books onsite and we will serve Upscale H'ordeurves. Attire is business casual.